Cal-Mag™ Plus is a highly fortified calcium, magnesium and iron plant supplement formulated to correct common deficiencies. Supplementing your preferred nutrient program with Cal-Mag™ Plus is strongly recommended when using reverse osmosis water and when growing in Coco Coir based medias to compensate for natural calcium draw. 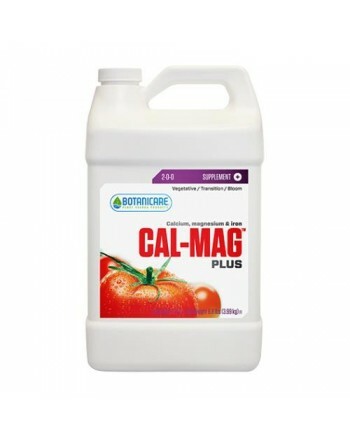 Cal-Mag™ Plus can also be applied as a foliar spray to further enhance growth.